No one has ever been in a position to see the presidents, and the presidency, so intimately, over so many years. They called him in for photo opportunities. They called for comfort. They asked about death and salvation; about sin and forgiveness. 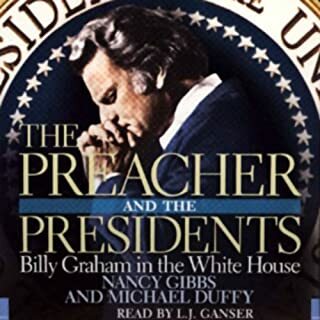 At a time when the nation is increasingly split over the place of religion in public life, The Preacher and the Presidents reveals how the world's most powerful men and world's most famous evangelist, Billy Graham, knit faith and politics together. Dr. Billy Graham offers insight into the personal & spiritual lives of America's Presidents. It is a great review of historical events & the significance that religion played through the lives of many people in political power during various administrations. History & the people are presented in a different perspective. An excellent reminder of how powerful prayer can be in our daily life. This book will encourage you to make prayer an important part of your life. Taya tells her story in a poignant & endearing way. You feel as if you are visiting with her personally & she is confiding in you as she shares the facts and emotions of her journey in life, love, family, tragedy & hope. Her personal reflections and emphasis on her deep abiding faith in God and her ability to continue to live her life in a way to honor her husband and bring encouragement to others who face extreme challenges in their life. The story is encouraging & inspirational. An excellent read and her Audible presentation makes her even more endearing. 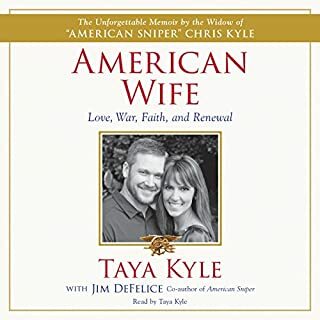 God bless Taya, her family, and the Chris Kyle Foundation.